The ultimate music, comedy, culinary and cultural festival returns to the Del Mar Fairgrounds for 3 days of incredible performances, art displays, delicious food and more this September 16-18. Now in its second year, KAABOO Del Mar has curated an eclectic lineup of musicians and comedians for this year's event, including Aerosmith, Jimmy Buffett, Jack Johnson, Lenny Kravitz, Dana Carvey, the cast of Silicon Valley and so many more! In addition to raffling off two pairs of weekend passes for two lucky winners, we have also received an increased allotment of tickets good for $20 savings on 3-day Hang Loose passes (limited to first 100 purchases) with promo code SDVILLE - valid until August 10 or the tickets sell out. 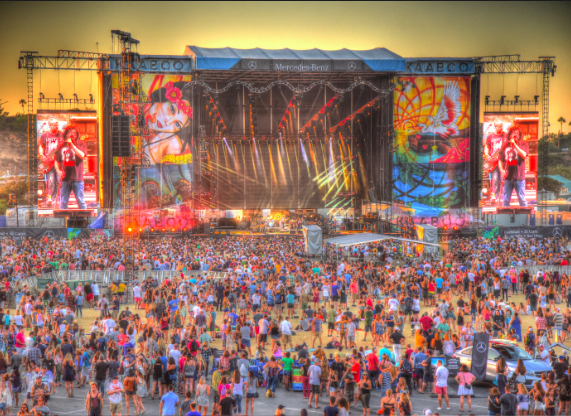 KAABOO is a three-day “mix-perience” and the perfect weekend escape for the sophisticated concert-goer looking for a fully immersive experience without the rough qualities of a traditional outdoor event. It combines a diverse mix of music, high quality culinary offerings, the very best craft libations, visually inspiring art exhibitions, comedy, dancing and all of the indulgent amenities you could hope for, together in one place. KAABOO has curated the lineup to be a musical journey from legendary classic rockers to some of the latest, most buzz-worthy chart-toppers.The current lineup for KAABOO 2016 includes Jimmy Buffett & The Coral Reefer Band, Aerosmith, Jack Johnson, Fall Out Boy, Lenny Kravitz, Daryl Hall & John Oates, The Avett Brother, OneRepublic, The Chainsmokers, Gavin Degraw, Steve Aoki, Goo Goo Dolls, GROUPLOVE, Jason Isbell, Third Eye Blind, Capital Cities, Flo Rida, Echosmith, Ludacris, Cypress Hill, Gregg Allman, Andrew McMahon in the Wilderness, Steel Pulse, Citizen Cope Solo/Acoustic, St. Paul and The Broken Bones, Collective Soul, Shakey Graves, Blues Traveler, G. Love & Special Sauce, The Struts, Colvin & Earle, Sugar Ray, Shovels & Rope, Gin Blossoms, and so many more. 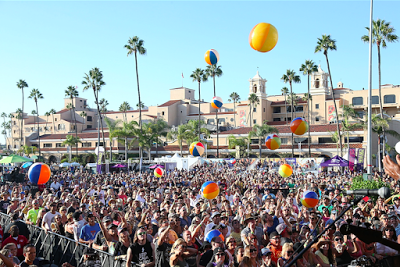 Additionally, making sure there is something for everyone, KAABOO’s extensive lineup also includes a full cast of comedians, which was previously announced to include The Cast of Silicon Valley (with T.J. Miller), Dana Carvey, Jeff Ross, Darrell Hammond, Janeane Garofalo and an array of other performers. 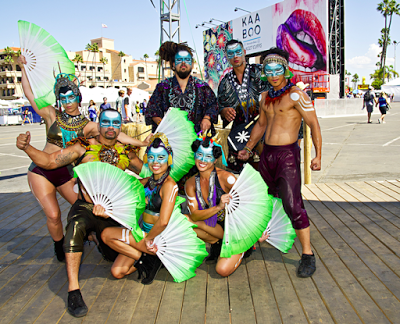 KAABOO also includes tons of art displays, culinary displays and competitions, delicious local food, craft beer, fine wine, and everything one needs for a magnificent weekend. Three-day passes to KAABOO are currently priced at $279 per pass, but promo code SDVILLE saves $20. Get your tickets fast because our promo is only good until August 10 or for the first 100 tickets purchased. For the most updated information and to purchase passes, visit KAABOODelMar.com.